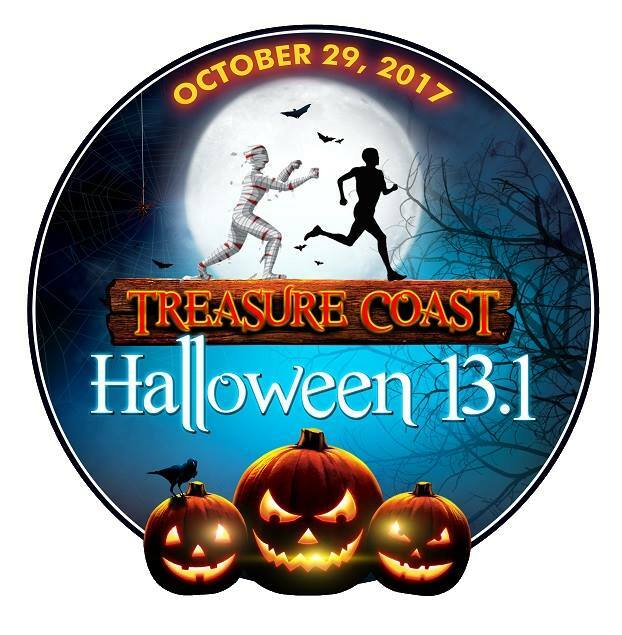 Registration is now open for the Treasure Coast Halloween 13.1 Half Marathon on October 29, 2017. Run like there is a ghoul chasing you this Halloween… and experience the Treasure Coast on Halloween while running this scenic course with stunning views in this iconic village by the sea! Presented by the local Treasure Coast running clubs. Awesome medal for all finishers. Tech running shirt for everyone registered by Sept 15. Competitive race starts at 6:30 am and includes overall and age group awards. Walkers welcome. Chip timing! Refreshments! Virtual Race! Costume Contest! It’s the Halloween 13.1…. run for your life! !